Keep your Camera Floodlight’s PIR lens horizontal (parallel to the ground) to get the maximum detection range for your setup. You can also tilt it down to reduce the detection range. Our installation guide recommends installing the Camera Floodlight 8 feet off the ground. 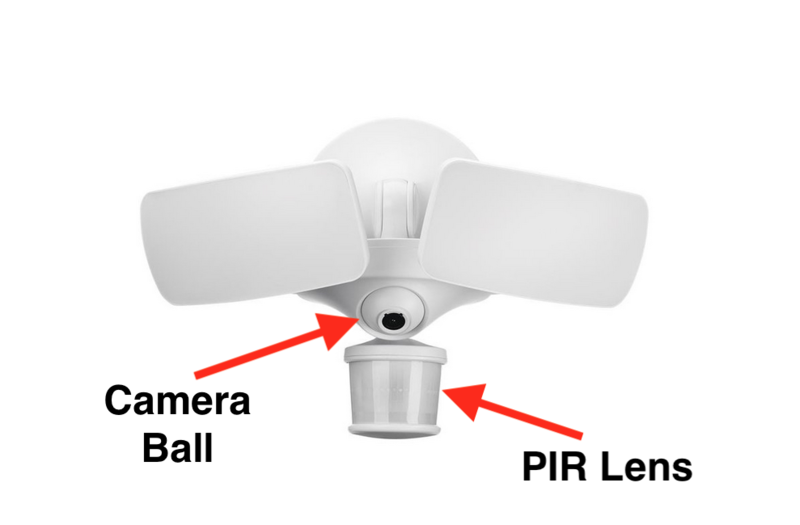 It’s also helpful to know that your PIR has a blind spot 3-5 feet right below the unit. In most cases, this should not affect its ability to detect motion events. 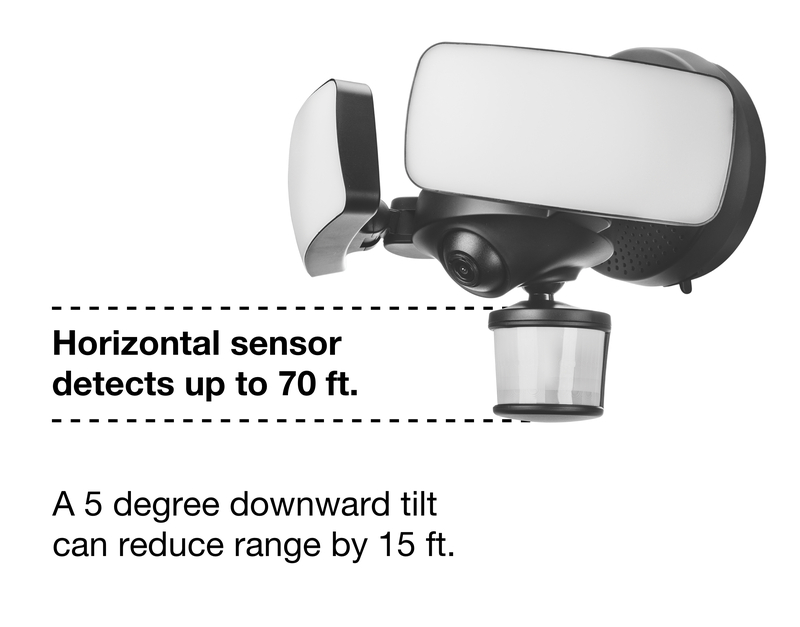 Your floodlight’s camera has a 155 degree diagonal field of view, and you can adjust it up to 40 degrees left/right and up/down by manually rotating it. The camera fit is a bit more “snug” than the Smart Security Light, so you may need to push firmly to move it.